Humanity has nearly destroyed its world through global warming, but now an even greater evil lurks. The indigenous people of North America are being hunted and harvested for their bone marrow, which carries the key to recovering something the rest of the population has lost: the ability to dream. In this dark world, Frenchie and his companions struggle to survive as they make their way up north to the old lands. 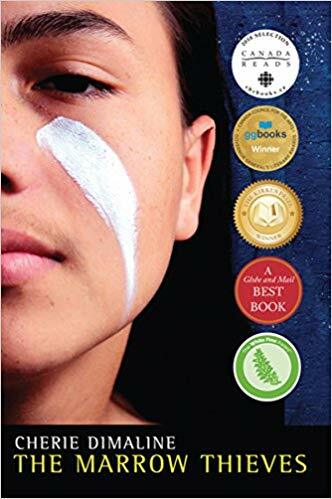 For now, survival means staying hidden—but what they don't know is that one of them holds the secret to defeating the marrow thieves. peterbmacd (Grade: B–) Dimaline makes an interesting world with a group of interesting characters, none of which are particularly fleshed out but likeable nevertheless. RemusLupin (Grade: C) This book had interesting characters and a unique perspective on a dystopian world, but the story seriously suffers from bad pacing. The world-building and plot movement is not balanced well with the flashbacks and storytelling, causing the reader to lose interest. The last section of the books was faster paced, and I appreciated the hopeful but realistic ending, but I’d have a hard time recommending this book.